What will you consider your distinctive achievement? My distinctive achievement is that I used my design talents and engineering background to master skills in a new 3d market. 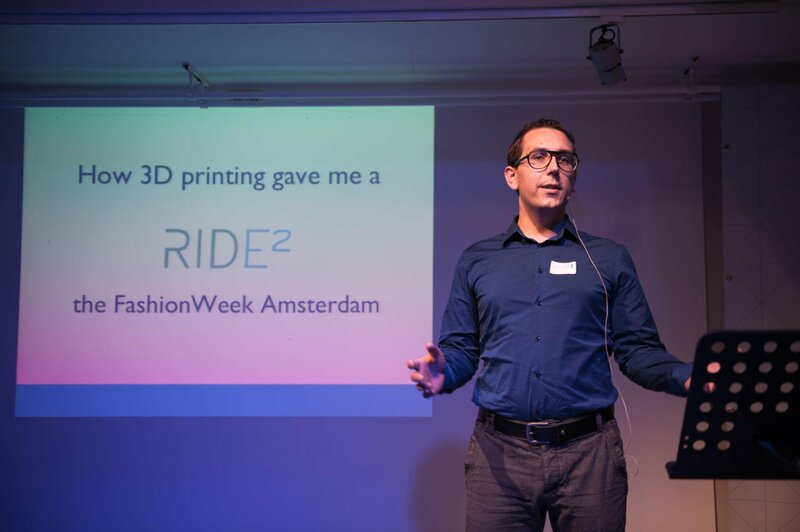 In a short period I used the opportunities given to me to become a designer for 3d printing. From here on I find new roads and projects to make sure I can keep doing the work I love to do. By doing it as an entrepreneur I have more freedom to choose the direction in this market were I think my talents will be benefit best. What are the qualities or knowledge you needed in order to achieve it ? In order to become a designer for 3d printing, I had to learn a lot about 3d printers how they work and what the specific material properties are. In order to design for a specific tool you have to know the limitations of the tool. And although 3d has less limitations not everything is possible of course. Since there was no affordable course for this a year ago I had to find a company to that would give me a work internship. Fortunately the FabLab was able to provide me with the opportunity. By using a method called applied innovation it was easy to learn a lot of skills in short period of time. This method is based on using theory in very practical research and projects. At least for me it was easier to learn by applying the research directly into practical situations. It gives you a lot of information in how the materials behave during the printing. This is one of the key factors that determines whether the design is good or not. On top of that I needed to learn myself a new way of programming 3d models with Rhino and Grasshopper. For this it really helped to have a project like the crystals to motivate you in working with a complex challenge of mastering software and producing products. What challenges we need to overcome to make cultural entrepreneurship more accessible ? I think the biggest challenge for cultural entrepreneurs is finding the value of your work. And if you yourself agree on that, you still need to convince others. And let’s be honest you won’t survive if people don’t see the value of your talent. So specially in new fields that would be great to get more advice and support in. Most creative people aren’t and will never be businessmen. And most of them would benefit a lot from leaving the creative network now and then for some boring financial or strategy advice. Which advice would you give to the young entrepreneurs? I think the best advice for young entrepreneurs is that you just have to go for it. If you have the feeling that working for a boss will limit your ideas and talents, show them your potential by doing it for yourself. Next to that, find as much advice and support with family, friends and people you know. But also dare to ignore some of this, because they will all at some point advice you to stop and take the save direction. It really helps an entrepreneur to have his own ideas and stand behind them, but keep in mind that other might be right as well. From personal experience I know that it ain’t always easy to admit your were wrong, but in the end this is the smarter choice. If I take the industrial design profession as an example, it it’s changing towards a network were specialized smaller companies share capacity and knowledge. Knowing your strengths and weaknesses is very helpful in working with multiple partners.